McQuay International is a global corporation that designs, manufactures and sells heating, ventilation and air conditioning (HVAC) products, systems, parts and services for commercial buildings. Since 2006, McQuay has been a subsidiary of Daikin Industries, Ltd. McQuay world headquarters are located in Minneapolis, MN, USA. 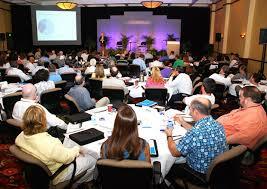 Products are sold by a global network of sales representatives and distributors. McQuay was incorporated in 1933 with manufacturing and headquarters in Minneapolis, Minnesota. Initial success was built on the first classroom unit ventilator and the first hermetic compressor for air conditioning use. During 1941-1945, McQuay manufacturing facilities were converted to support the U.S. war effort. In the later 1940s and 1950s, McQuay products and sales grew as the demand for commercial air conditioning increased. The U. S. manufacturing facilities were expanded to meet this demand. McQuay became a multi-national corporation during the 1960s by beginning overseas sales and licensing operations in Canada, England, Scotland, and Australia. In 1965, McQuay established a new division in Italy, McQuay Europa, to manufacture 50 Hz equipment. 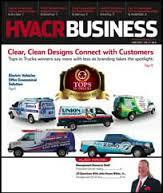 Through mergers and acquisition in the 1970s, ‘80s, and ‘90s, the McQuay product line grew to include more types of commercial HVAC and large capacity equipment, as air conditioning became viewed more as a requirement than a luxury in buildings of all types. In 1984 it was acquired by Snyder General. In 1992 McQuay, received the Stratospheric Ozone Protection Award from the U.S. Environmental Protection Agency in recognition of McQuay being the first to design and manufacture chillers with HFC-134a, a refrigerant with no ozone depletion potential. In 2006 McQuay, was acquired by Daikin Industries, a global manufacturer of both commercial and residential air conditioning equipment based in Osaka, Japan. 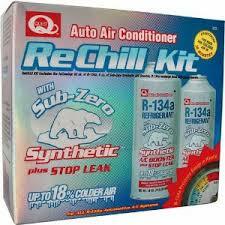 Daikin had annual sales of $13 billion in 2009. Daikin was named one of the 100 most sustainable corporations for three years in a row by Corporate Knights, Inc., from 2007 through 2009. As a Daikin Industries group company, McQuay is part of the largest HVACR Company in the world. With more than six million square feet of manufacturing facilities and offices in more than 75 countries, they are uniquely positioned to make sure their products and services are always within Customers’ reach. Hermetically Sealed Compressors used in refrigeration systems are often described as being hermetic, open or semi-hermetic, to describe how the compressor and motor drive are situated in relation to the gas or vapor being compressed. In hermetic compressors, the compressor and motor driving the compressor are integrated, and operate within the pressurized gas envelope of the system. 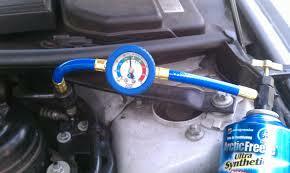 The motor is designed to operate in, and be cooled by, the refrigerant gas being compressed. The hermetic uses a one-piece welded steel casing that cannot be opened for repair; if the hermetic fails it is simply replaced with an entire new unit. 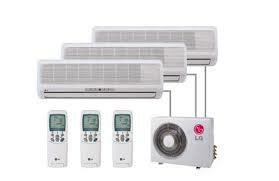 PTAC (packaged terminal systems) are also known as wall-split air conditioning systems or ductless systems. 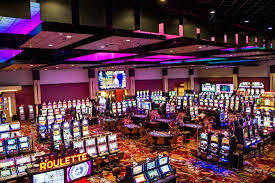 These PTAC systems which are frequently used in hotels have two separate units, the evaporative unit on the interior and the condensing unit on the exterior, with tubing passing through the wall and connecting them. This minimizes the interior system footprint and allows each room to be adjusted independently. The terminal package is the condensing unit located on the exterior and includes the compressor, condenser and condenser fan. The other terminal package is the evaporative unit located on the interior and handles air cooling and distribution. The internal evaporative unit includes the fan, expansion valve and evaporator coil. PTAC system may be adapted to provide heating in cold weather, either directly by using an electric strip, gas or other heater, or by reversing the refrigerant flow to heat the interior and draw heat from the exterior air, converting the air conditioner into a heat pump. 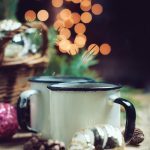 While room air conditioning provides maximum flexibility, when used to cool many rooms at a time it is generally more expensive than central air conditioning. 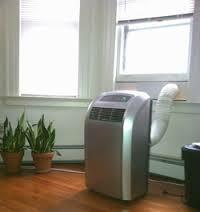 The primary disadvantage of ductless air conditioners is their cost. Such systems cost about $1,500 to $2,000 per ton of cooling capacity. This is about 30% more than central systems and may cost more than twice as much as window units of similar capacity. An additional possible disadvantage that may increase net cost is that ductless systems may sometimes not be eligible for energy efficiency rebates offered by many electric utility companies as part of an incentive program to reduce summer cooling load on the electrical grid. Ductless systems offer much higher efficiency (up to 27.1 SEER on some systems). Today’s brands include Aircon, Carrier, Daikin, Klimaire, LG, Mitsubishi, Sanyo, Fujitsu and YMGI. 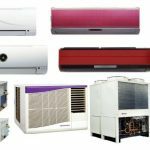 Most ductless (split system) air conditioners still typically provide cooling to a single room or interior zone, just like a window air conditioner or PTAC; but more powerful outside units are becoming more and more available, supporting cooling of ever-more interior zones. 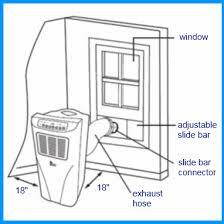 Advantages of the ductless system include smaller size and flexibility for zoning or heating and cooling individual rooms. Flexible exterior hoses lead from the outside unit to the interior one(s); these are often enclosed with metal to look like common drainpipes from the roof. Those enclosures can be painted to match the color of the house. If your goal is to create a quiet, comfort controlled room, or simply want to heat or cool an area without expensive ductwork, the ductless systems set a new standard for efficiency, great looks and comfort. The hackers who stole millions of customers’ credit and debit card numbers from Target may have used a Pittsburgh-area heating and refrigeration business as the way to get in through a back door. Experts believe the thieves gained access during the busy holiday season to about 40 million credit and debit card numbers and the personal information including names, email addresses, phone numbers and home addresses of as many as 70 million customers. Investigators appear to be looking at that theory. It shows how vulnerable big corporations have become as they expand and connect their computer networks to other companies to increase convenience and productivity. Fazio Mechanical Services, a contractor that does business with Target, said in a statement Thursday that it was the victim of a “sophisticated cyber attack operation,” just as Target was. It said it is cooperating with the Secret Service and Target to figure out what happened. 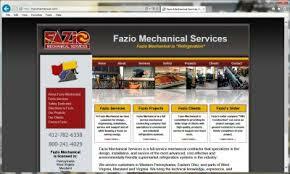 President Ross Fazio confirmed that the U.S. Secret Service visited his company’s offices in connection with the Target investigation, Fazio Mechanical also has done refrigeration and HVAC projects for specific Trader Joe’s, Whole Foods and BJ’s Wholesale Club locations in Pennsylvania, Maryland, Ohio, Virginia and West Virginia. It’s not immediately clear why Target would have given an HVAC company external network access, or why that access would not be cordoned off from Target’s payment system network. But according to a cyber security expert at a large retailer stated it is common for large retail operations to have a team that routinely monitors energy consumption and temperatures in stores to save on costs and to alert store managers if temperatures in the stores fluctuate outside of an acceptable range that could prevent customers from shopping at the store. The new details illustrate what can go wrong with the far-flung computer networks that big companies increasingly rely on. “Companies really have to look at the risks associated with that,” said Ken Stasiak, CEO of Secure State, a Cleveland firm that investigates data breaches. Stasiak said industry regulations require companies to keep corporate operations such as contracts and billing separate from consumer financial information. 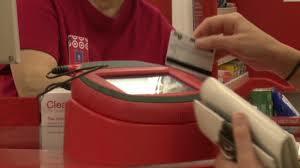 Since Target disclosed the breach, banks, credit unions and other card companies have canceled and reissued cards, closed accounts and refunded credit card holders for transactions made with the stolen data. A lawsuit has been filed seeking class-action status on behalf of financial institutions nationwide that have spent time and money helping customers deal with the effects of the data breach. The price of the fuel that’s used to heat many north Iowa and southern homes has reached nearly $5 per gallon, and it’s leaving some people wondering how they’ll pay for their LP and many of them are now turning to local lawmakers. Some 14 million households use the liquefied gas to heat homes, especially in upper Midwestern states such as Michigan and Ohio, where the shortages have had the most impact. The shortage has been blamed on a combination of a wet harvest and an extremely cold January but many people question that, saying he believes there’s more to the story. The U.S. has exported so much LP to Europe that Europe is actually sending us ships back to the East coast full of LP because the European reserves on LP are full. In addition to the weather, inventories have also been stretched by short-term logistical problems and a long-term shift toward exporting more liquefied petroleum gas (LPG), production of which has surged due to the shale revolution. Demand has been boosted by the combination of record freezing weather at the start of this year and a late, wet, record corn harvest last October and November, when large quantities of propane were used to dry out crops. 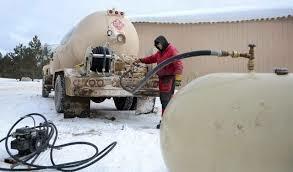 Propane stocks have been drained and prices in the region are the highest since at least 1990. The industry is doing is literally working round the clock to move propane from where it is, in the large storage facility in Texas, using trains and trucks, pipelines and barges to where it is needed. Prices have spiked for the fuel that nearly 6 million U.S. households rely on for home heating. Nationwide, propane prices averaged $2.86 per gallon last week, up 17% from the same period a year earlier, according to the U.S. Energy Information Administration. Prices are even higher in some regions. Residential customers in New York State, for example, paid an average of $3.28 a gallon for propane last week, up from under $3 a gallon in December and 20% higher than at this time last year. Prices are likely to go even higher as another blast of extreme cold weather is expected. Temperatures will be 10 to 25 degrees below average across much of the country. Temperatures below freezing could extend far south. Callahan-Roach Flat Rate Price Books and Software. This is a trend and the wave of the future. Read and link to article printed in Dallas Morning News on Thursday Jan. 9, 2014.